Norma Jean Mattei, Ph.D., P.E. is professor and past chair at the University of New Orleans’ (UNO) Department of Civil and Environmental Engineering. She has been active in ASCE for more than 20 years in local, regional and national leadership roles. 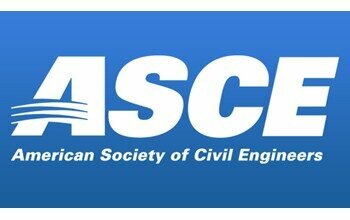 President-Elect Mattei sits on the executive committee of ASCE’s New Orleans Branch SEI/Structures Committee. The former Region 5 Director has served on ASCE’s Committee on Diversity and Women in Civil Engineering and the Committee on Licensure and Ethics. ASCE has drawn on her expertise for a number of media relations activities, including an interview with National Public Radio’s “Morning Edition” on post-Hurricane Katrina conditions. Recently, she was spokeswoman for “Raised Floor Living,” a commercial that aired in the New Orleans’ region promoting elevation of residential structures above the flood plain. In 2012, President Obama named Mattei one of three civilian members of the Mississippi River Commission, which researches and provides policy and work recommendations covering flood control, navigation and environmental projects. In that capacity, she helped oversee a drainage basin that covers 41 percent of the nation. The governor of Louisiana appointed her to the state’s licensing board for professional engineers, LAPELS. She also serves on the board of directors for both the Louisiana Transportation Research Center Foundation and the Louisiana Technology Council. Before her academic career, Mattei worked for more than 10 years for various New Orleans area consulting firms as a project engineer. Those firms include Guillot-Vogt Associates Inc., Linder & Associates and Modjeski & Masters Bridge Engineers. Mattei earned a bachelor’s degree in civil engineering in 1982 and a doctorate in 1994, both from Tulane University.